Alot of us add honey to our meals, honey is healthy and provides us with a whole host of medicinal, nutritional, and cosmetic benefits. It’s no surprise that this wonder food is sometimes referred to as Liquid Gold. It’s use throughout history and has been well documented and this multipurpose product is used in most parts and in most cultures of the world. When it comes to natural hair care, honey is a popular ingredient in both manufactured products and DIY recipes. Honey possesses anti-fungal, antibacterial and anti-inflammatory properties that keep the scalp free of bacteria and fungus and addresses redness and itching caused by the overgrowth of these microbes. Most naturalistas who are into diy have tried the recipe that uses olive oil and honey as the only two ingredients. This recipe is probably one of the most popular homemade deep conditioner recipes among naturals and is as simple as it gets. Some recipes call for a 1:1 ratio of the ingredients while others use the ratio of 2 parts oil to 1 part honey. It’s really a matter of preference and the end result is hair that is softer, shinier and more manageable than before. Including honey to your everyday conditioner and deep conditioner is also a good beneficial practice. The anti-microbial properties of honey get rid of impurities that can cause pore clogging so that hair growth can proceed unimpeded. Build up is removed from the scalp and so the hair is able to thrive. Even though honey on its own will not add volume to the rate of growth, it can create an environment where the conditions for hair growth is optimal. When you combine honey and water, small amounts of hydrogen peroxide are created and this leads to the hair lightening over time. Though the source of the peroxide is natural and the process of lightening occurs slowly over time, it is no different from the bleaching process used in synthetic hair dyes so care should be taken to ensure the integrity and health of the hair are maintained and damage is prevented. Honey helps to prevent dry scalp and remove buildup, becausd honey is a humectant, it draws moisture from the atmosphere into the strands to combat dryness and keep hair moisturized and manageable. Since it helps to remove buildup from the scalp, it relieves itching and combats dry scalp because buildup is not allowed to create a barrier between the scalp and the moisture and nutrients from products applied. 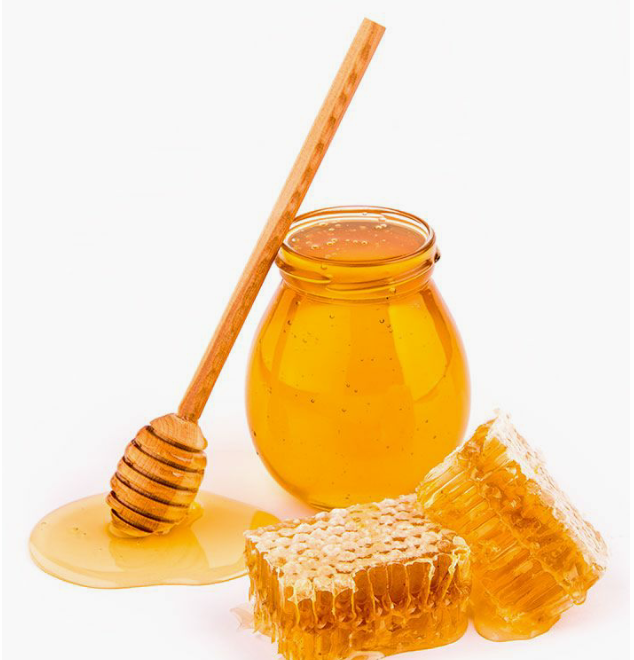 Because honey is a heavy, sticky product it smoothen the cuticles of the hair strands. This results in a reduction in frizz and an increase in the natural luster and shine of the hair. Combine 5mls of honey in 16fl Oz of lukewarm water and apply to hair as a rinse and watch and your strands become smoother and frizz disappears. Most honey you see on the shop shelf labeled “Pure honey” are mostly adulterated. if you can’t get organic or unadulterated honey, do not use honey on your hair!!! Hi there colleagues, iits fantastic piece of writing about tutoringand fully explained, keep it uup all the time. Thank you so much and welcome on board, read through past post, new ones coming up soon. You can as well subscribe for new Post alert newsletter. shout out and tell you Ireally enjoy reading through your blog posts. hat del with the same subjects? Appreciate it! larg amount of work? I am completely new to writing a blog but I do write in my diary everyday. Very helpful info specifically the closing part 🙂 I deal with such info much. I'll definitely digg it and personally recommend to myy friends. Great post!I love honey! Tell me what's not to love about it? Good job babes! producing bees;1. This makes the ingredient an all-natural antibiotic along with the solution to skin and the body ordeals. areas. Stuffy nose – Stuffy nose is a result of the swelling mucus membranes and it may be a real discomfort during pregnancy. They were exposed to provide food and skins, and were very useful in other areas. a natural sweetener, healing medicine, and valuable health food.